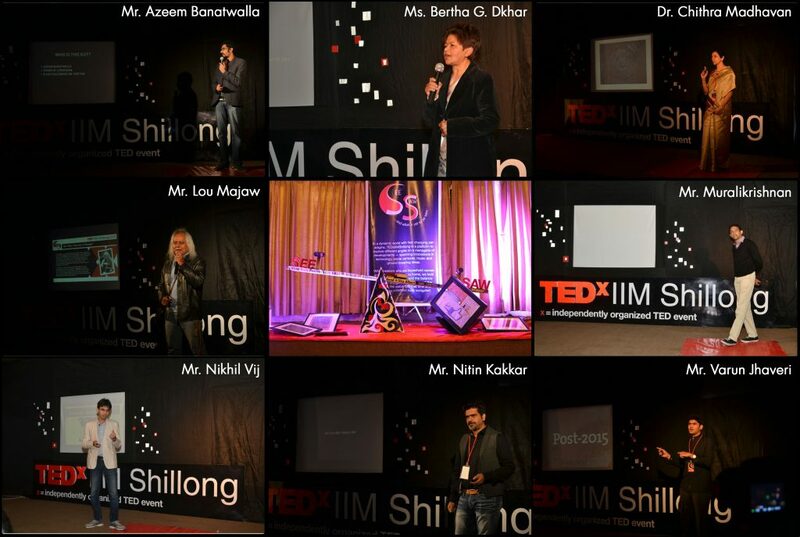 After the global success of the previous edition, IIM Shillong hosted the third season of TEDxIIMShillong 2015 on Saturday, 14th February at Hotel Pinewood, Shillong. The theme of the event was ‘See/Saw…and what is yet to be seen’. The event witnessed participation from the IIM Shillong fraternity and also local institutions. TEDxIIMShillong 2015 was introduced by Professor Amitabha De, Director of IIM Shillong. After the introduction, the talks commenced with Mr. Muralikrishnan talking about his failed experimentation with entrepreneurship. Citing examples from his personal life, he underscored the importance of having a Plan C in place as an entrepreneur by stating that Plan A is more often than not, a fiction, while Plan B is the worst case scenario. The talks progressed with ideas pouring in from speakers belonging to various domains – Mr. Varun Jhaveri who gave a talk on global youth leadership, Mr. Nikhil Vij who gave an insight on the transition of jobs, Mr. Lou Majaw defining himself through the world of music – which instigated thought provoking questions. Mr. Nitin Kakkar, a National Award winning film director, took us through an interesting chapter in his life which highlighted the value of humanity over borders. Renowned historian and epigraphist Dr. Chithra Madhavan, who has a deep connect with temples and archaeology, took the audience through a journey of sculptural glory and carvings across the centuries and their fading presence. The event also featured stand-up comedian Mr. Azeem Banatwalla, who entertained the crowd with his witty one-liners as he clarified a few stereotypes about stand-up comedy. He explored censorship and its context in the genre of comedy. The event concluded on a motivating note with Padma Shri Ms. Bertha G. Dkhar saying ‘inclusive societies are the way forward to integrate all factions of society and ensure that all have the opportunity to reach their full potential. TED is a nonprofit organization devoted to Ideas Worth Spreading. Started as a four-day conference in California almost 30 years ago, TED has grown to support those world-changing ideas with multiple initiatives. The two annual TED Conferences invite the world’s leading thinkers and doers to speak for 18 minutes on a diverse mix of topics. Many of these talks are then made available, free, at TED.com. TED speakers have included Bill Gates, Jane Goodall, Elizabeth Gilbert, Sir Richard Branson, Nandan Nilekani, Philippe Starck, Ngozi Okonjo-Iweala, Isabel Allende and former UK Prime Minister Gordon Brown. The TED2015 Conference will take place in Vancouver, British Columbia, along with the TEDActive simulcast in neighboring Whistler. TEDGlobal 2014 was held in Rio de Janeiro, Brazil. 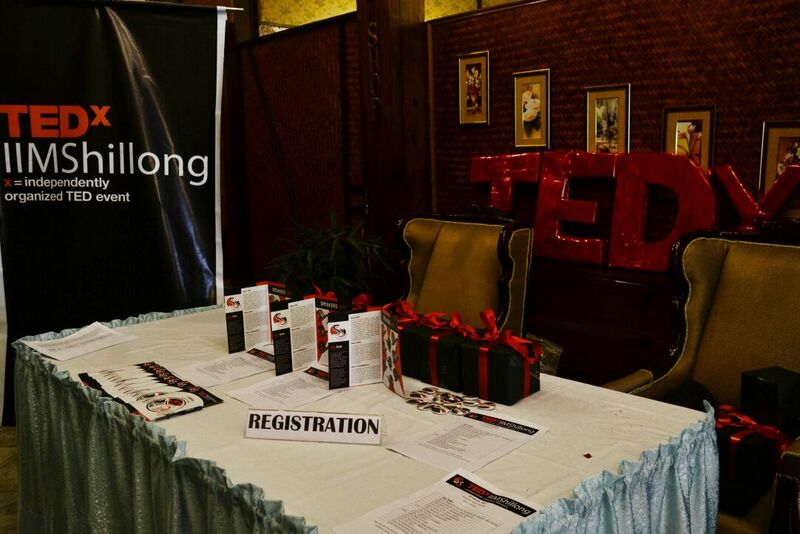 TEDxIIMShillong is an independently organized TEDx event operated under license from TED. At the conference we will showcase some of the eminent speakers from different spheres of life who will share their unique ideas and experiences with us. Such ideas will spark and ignite discussions among the attendees who will be present at the event. We seek to bring together the community and promote the power of ideas.